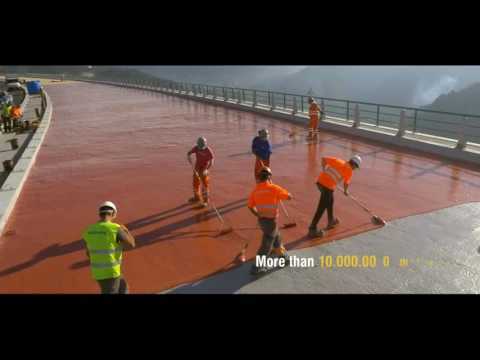 ALCHIMICA Building Chemicals is the leading independent manufacturer in Europe, and among the top 4 global manufacturers of polyurethane waterproofing products. For over 35 years, our mission has been and continues to be, innovation. We create, produce and supply high quality building chemicals that add value to our partners' work and the global building chemicals market. We continuously introduce new technologies to the global market, and thus we continually carve new paths that create new opportunities for our company and most importantly, for our partners within the construction industry. Our network of reach extends to more than 100 countries worldwide. It includes dynamic commercial dealers, construction companies and producers of building materials. Our partners are embraced and supported by a company that aligns its best interest with theirs. We at ALCHIMICA Building Chemicals firmly believe in the competence of all of our products and systems being the examples of our ceaseless efforts, our technical abilities and our exceptional innovative heritage.